Special notes about electric from Dave: I've been very excited about this fine model hitting the streets. It's an excellent high wing aerobatic model. Scale looks with a wide speed envelope. I have done an extensive work up of power systems I could recommend below. You don't get this kind of analysis from anybody else, even SIG. Think of lower capacities as the cell count increases, for 6S, I'm thinking about high quality 2200's, think about larger packs up to 4200 for 3S, maybe a 3300-3700 for 4S, a 2200-3300 for 5S. Some alteration of battery tray may be required and is not investigated as of this moment. Estimates based on manufacturers provided constants using E-Calc. High Quality 3200mah used as trial cell in calculations. 2200-4200mah packs presumed to be used. Presumed model weight of 80oz. Actual performance may vary depending on components used, accuracy of data as provided by manufacturer, quality of battery, ESC, and many other factors. This compact version of the KADET SENIORITA is designed for modelers who have a small car or apartment-size workshop. The SENIORITA features the same forgiving flight characteristics of the larger SENIOR, but in a smaller package. Both the KADET SENIOR and KADET SENIORITA are also popular with experienced fliers who are tired of the nerve racking panic that can accompany a faster model. The KADET SENIORITA flies so slowly and gently that just about anyone can handle it on their very first try! If the student pilot gets confused, merely let go of the control sticks and the KADET SENIORITA will recover itself and return back to level flight. Engine Req. .15-.25 cu-in / (2.5 - 4.0 cu-cm) 2-Stroke Glow / .21-.35 cu-in (3.4 - 5.7 cu-cm) 4-Stroke Glow Electric 240 to 400 watts. 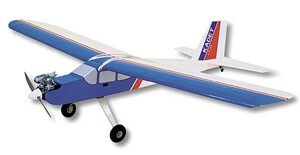 The Sig Kadet LT-40 has become the R/C trainer of choice at many club fields. Not long after it's introduction, we started getting requests for a smaller version of the same airplane. So here it is - a compact version of the LT-40 - the new Sig Kadet LT-25. When price shopping this kit, be sure you understand our super low flat rate shipping means total cost to your door is probably the lowest on the planet. "The R/C Trainer That's All Laser Cut", As you would expect, the new LT-25 inherits all the same gentle flying characteristics of the other legendary Sig Kadets. It has the same light wing loading, which allows it to fly slow enough to give the student pilot time to think and react. It has the same "hands off" stability on all axis. If the student pilot gets disorientated, simply let go of the sticks and the LT-25 will recover and return to level flight within seconds. Special notes about electric from Dave: This model makes an excellent electric conversion and is perhaps the most popular one of all time. Super light weight, large as or even larger than most 40 size trainers. The only lighter weight 40 size trainer on the market is the Radical RC Intern 66. Estimates based on manufacturers provided constants using E-Calc. High Quality 2100-3000mah used as trial cell in calculations. Presumed model weight of 76oz. @3 cells (added oz for higher cell counts). Actual performance may vary depending on components used, accuracy of data as provided by manufacturer, quality of battery, ESC, and many other factors. Like all Sig Kadets, the LT-40 behaves perfectly in flight, with true "hands off" stability on all axis. If the student pilot gets disoriented, simply let go of the control sticks and the LT-40 will recover itself and return to level flight within seconds. Because the Kadet LT-40 is bigger than the average .40 size trainer, it has a much lighter wing loading, which lets it fly slower! Slower speed gives the student pilot more time to think and react to what the model is doing, thus making it easier to learn to fly R/C. Every major part of this kit has been pre-shaped, sawn, die-cut, laser-cut, routed, or whatever it takes to make it ready-to-install right out of the box. Setups below would be my first picks depending on your purpose for the model. If your trying to learn or train a beginner, or just want a mild model with enough power to get out of trouble, pick setup around 1000 to 1400 foot per minute climb rate (fpm). An expert can do quite nice aerobatics on 1000 fpm, 1400 fpm and above is enough for first season pilots. Setups 2000 fpm and higher is agressive power. Special notes about electric from Dave: This model makes an excellent electric conversion and is perhaps the most popular one of all time. Super light weight, large as or even larger than many 60 size trainers. For UAS purposes, the under wing compartment is 3" wide, 5 5/8" deep and 12 3/4" long. Estimates based on manufacturers provided constants using E-Calc. High Quality 2100-3000mah used as trial cell in calculations. Presumed model weight of 95oz. @3 cells (added oz for higher cell counts). Actual performance may vary depending on components used, accuracy of data as provided by manufacturer, quality of battery, ESC, and many other factors. First attempts at R/C flying should be with an inherently stable model that flies slow enough to give the student pilot time to think and react. The Kadet Senior is the result of designer Claude McCullough's 50+years in the model airplane hobby. Everything about the Kadet Senior has been designed to make it the easiest to fly trainer in the world. Just like the Four-Star 40 and the Four-Star 120, the Four-Star 60 has a near perfect blend of simple construction, classic looks, and outstanding flight performance. State-of-the-art CAD drawn plans and laser-cut parts assure you of precise parts fit and perfect alignment. 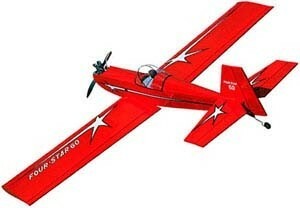 The lite-ply fuselage and simple wing design get the Four-Star 60 out to the flying field in short order. With a wing loading like a trainer, the Four-Star 60 is easy to fly, yet will perform all the free-style aerobatics your thumbs can keep up with. Day in and day out, the Four-Star 60 will be the sport model you'll want to take to the flying field every time. Kit Features: Lite-Ply Fuselage Construction, Pre-Cut Sheet Balsa Tail Surfaces, Durable Aluminum Main Landing Gear, Formed Tailwheel Wire, Molded Clear Plastic Canopy, Full Size Plans, Fast-Building Wing with Spruce Spars, Photo-Illustrated Instruction Book, Engine Mounts, Sig Easy Hinges, Pushrods, Complete Hardware Pack & Large Decal Sheet. Special notes about electric from Dave: This model would make an excellent electric conversion. I've seen many of the 4 star series done and they fly well. Plenty of wing area and a light weight design. Below are my suggestions for a range of practical power systems. When developing the Four-Star 40, SIG had two main design goals: First of course was impeccable flight performance, including the ability to perform any aerobatic whoop-dee-doo you can throw at it. Second, it had to be ultra-simple to build without looking like a "box with wing". Special notes about electric from Dave: This model makes an excellent electric conversion. I've seen many of them done and they fly well. Plenty of wing area and a light weight design. Below are my suggestions for a range of practical power systems. Building on the 20-year reputation of the original Four-Star line of great sport airplanes, we bring you this highly requested version designed for electric power. Like it's older siblings it retains the easy and relaxed flying characteristics of the Four-Stars. Open the throttle and increase the control throws and it will do about any wild maneuver your thumbs can dream up. Add to this the portability of a smaller size and the quietness and convenience of electric power and you have another winner for sport flying. While designed for electric power it is configured to easily convert to glow engine power in the .15 to .25-engine range so you have the best of both worlds. Wing Area 430 sq. in. 27.7 sq. dm. Wing Loading 13.4 oz./ft? 40.8 g/sq. dm. Manufacturer back order due to facility fire and subsequent repairs, order to be put on the waiting list. 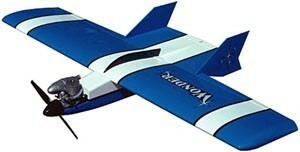 If you're looking for an R/C model that is easy to build and exciting to fly, the KOUGAR is for you! This sleek jet-style airplane has a fully symmetrical wing section for smooth pattern-like aerobatics. 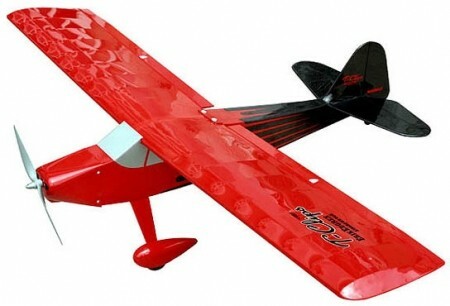 Ample wing area and a thick airfoil provide outstanding slow speed stability. Built-in wing "washout" eliminates tip stalling, enabling the Kougar Mark II to be slowed down to a walk for realistic nose-high landings. 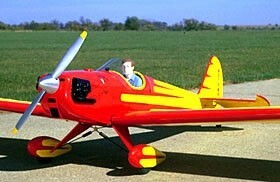 The Kougar Mark II is highly recommended as an introduction to low-wing flying and learning aerobatics. Fully Aerobatic Smooth Control Response Don't let the Kougar's racy lines worry you. Construction of this sport model is simple and straight forward. The load-carrying and equipment-carrying portion of the fuselage is basic balsa box structure. Once that is built, you add a molded plastic fuselage top, a molded clear plastic canopy, and a molded plastic cowling, to give the Kougar its modern jet-style shaped. Price includes Sig Mfg. 's $20.00 shipping surcharge. Manufacturer back order due to fire and subsequent repairs, sold out. Order to get in line on the Waiting List. Are you having trouble shoe-horn'g a big model into a small car? Does the high cost of feeding a fuel guzzling .60 break the modeling budget? Well cheer up! Here's the answer to these and other big airplane problems. The little Kobra provides "hot dog" performance in a compact, easy to transport size. All of the great flying characteristics of our popular Kougar and King Kobra have been reduced into this junior-size bundle of excitement. 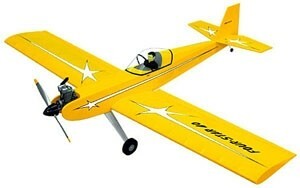 The same sleek jet-style look, the same wall-to-wall aerobatic capabilities, the same built-in wing washout for slow speed stability, the same easy-to-build balsa fuselage with the unique formed plastic top - only in a smaller package! Plenty of room inside for standard size radios. Kit features, Built-Up Balsa Wing, Basic Balsa Box Fuselage Structure, Molded ABS Plastic Fuselage Top, Molded Jet-Style Clear Canopy, Sheet Balsa Tail Surfaces, Formed Landing Gear Wires, Steerable Nose Gear, Full-Size Plans, Photo-Illustrated Assembly Manual, Decals For Both F-16 and T-38 Versions, SIG Easy Hinges, Engine Mounts and Complete Hardware Pack. Estimates based on manufacturers provided constants using E-Calc. High Quality 2200mah used as trial cell in calculations. Presumed model weight of 54oz. Actual performance may vary depending on components used, accuracy of data as provided by manufacturer, quality of battery, ESC, and many other factors. The new Sig Somethin' Extra has it all - good looks, incredible performance, Sig quality balsa and ply construction and every part in the kit is laser-cut! This kit can literally be built as fast as the modeler can apply CA glue and accelerator. Fantastic flight performance using either 2-stroke or 4-stroke engines. The aerobatic capabilities of this model are virtually unlimited due to its thick airfoil section and very light wing loading. A perfect club contest airplane. Kit Features: Balsa and Ply Construction, Pre-Cut Sheet Balsa Tail Surfaces, Durable Aluminum Main Landing Gear, Formed Tailwheel Wire, Molded Clear Plastic Canopy, Full Size Plans, Fast-Building 2 Piece Wing For Easy Transportation, Full Size Plans, Engine Mounts, Sig Easy Hinges, Pushrods, Complete Hardware Pack & Large Decal Sheet. Special notes about electric from Dave: This model makes an excellent electric conversion. My first large electric was one of these on 20 1750FAUP Cells. Yikes, I'd love to do another one with modern packs! Here is how I'd do it. Yes, this is same chart as the 4 Star 40, similar weight and wing area. An under recognized yet excellent electric conversion model. Good weight to wng area. A little troublesome to get large NiMH packs into due to the wing tube. However with Lipo's it's super easy to fit the pack. Below are my suggestions for a range of practical power systems. Estimates based on manufacturers provided constants using E-Calc. High Quality 2100-3000mah used as trial cell in calculations. Presumed model weight of 76oz. @3 cells (added oz for higher cell counts). Actual performance may vary depending on components, accuracy of data provided by manufacturer, quality of battery, ESC, and many other factors. Notes from Dave: This is absolutely my favorite glow sport ship of all time. It's a classic kit. There was just nothing more exciting on trainer night than to have a graduated student come up with one of these for his 2nd or 3rd aircraft and ask me to test fly it. I dare say, I'd put a whole tank through the model and say, yes, it's still my all time favorite! The model is very pattern like for it's size, super smooth and yet retains all the personality of weekend sport ship. Friendly yet aerobatic and even aggressive if you set the throws for more spirited performance. They land like a dream, are utterly trustworth in any situation. You'll love it as I do. Power Packages for setups in performance chart available. Includes Castle ESC, Himax motor and APC or Zoar Prop & Lipo Battery. Estimates based on manufacturers provided constants using E-Calc. High Quality 2200-3300mah used as trial cell in calculations. Presumed model weight of 78oz. @3 cells (added oz for higher cell counts). Actual performance may vary depending on components used, accuracy of data as provided by manufacturer, quality of battery, ESC, and many other factors. Although highly popular with the giant-scale crowd, our 1/3-Scale Spacewalker is simply too big for some modelers to haul around. In response to all of you who asked for a smaller version, we bring you the 1/4-Scale Spacewalker II. It's made for flying! The thick semi-symmetrical airfoil and long tail moment provide perfect stability and low speed handling. At full-throttle, it will do all the aerobatics you ever dreamed of. Estimates based on manufacturers provided constants using E-Calc. High Quality 3000-6000mah used as trial cell in calculations. Presumed model weight of 190-20 oz.. Actual performance may vary depending on components used, accuracy of data as provided by manufacturer, quality of battery, ESC, and many other factors. 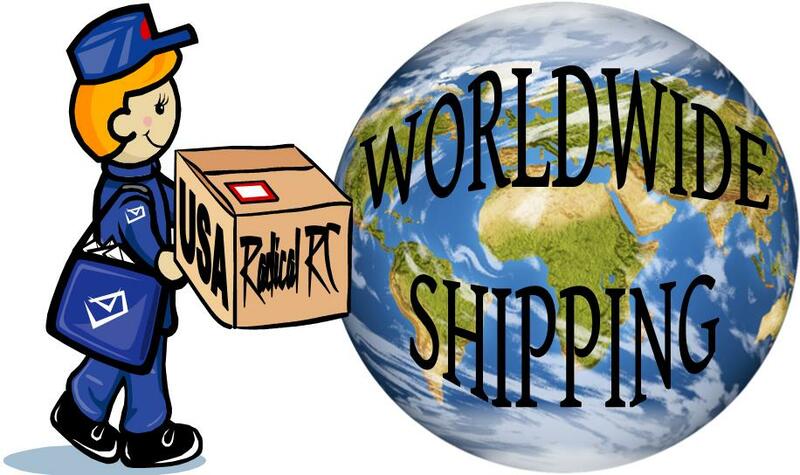 This item only ships by parcel post or FedEx Ground regardless of shipping method chosen. If you want Priority Mail expect shipping to run you an extra $30 to $60 or so. Note, one supplier lists this kit for less, however once you pay the shipping it will cost you LOTS MORE. You can get this delivered by parcel post to your door for $354.92 (including our flat rate $3 shipping, includes Sig's $20.00 shipping surcharge) anywhere in the USA. This 1/3-scale model of Jesse's Spacewalker retains all of the charm of his beautiful homebuilt. Plans for the full-size aircraft were scaled down for the ultimate in scale accuracy. Construction is easy with pre-formed fiberglass parts and traditional balsa and plywood construction. Glow: 1.5-2.4 2 strokes, 1.8-3.0 4 strokes, Gas, 50-80cc. Ok if your serious about a monster electric, this might be the model. Lets entertain some ideas below. Estimates based on manufacturers provided constants using E-Calc. High Quality 3000-6000mah used as trial cell in calculations. Presumed model weight of 20lbs. Actual performance may vary depending on components used, accuracy of data as provided by manufacturer, quality of battery, ESC, and many other factors. 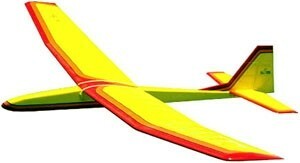 This radio-control 2-meter sailplane was designed with the novice and sport flyer in mind. Features strong, easy-to-build balsa construction. Room inside for a standard size radio equipment. Excellent flight characteristics! The RISER may be launched with a standard high start, a winch, or with the optional Sig Power Pod. Includes full pushrod and control horn hardware. Start now, you'll be thermalling with the hawks before you know it! The Riser 100 is an excellent choice for the newcomer who wants to get started in soaring, or for the already experienced "glider guider" who wants a relaxing, easy-to-build "floater". 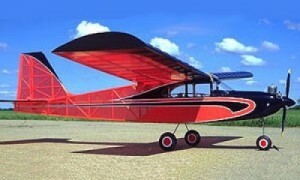 The Riser 100's modified Eppler 205 airfoil and 1000 sq. in. of wing area gives you the ability to fly in nearly any weather. The Riser 100 provides great "hang-time" in light lift conditions, yet has respectable penetration when the wind comes up. Rugged construction allows more time at the flying field and less time in the shop. Launch the Riser 100 with a standard high-start or winch, or toss it off the slope. Enjoy the challenge of silent flight! 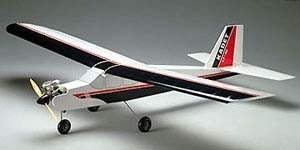 Great 1/2 class model for sport flying or club racing. Excellent model for electric conversion with generous nose length making it easy to balance correctly. All wood built up construction complete with prebent aluminum gear, canopy, light weight wheels, EZ Hinges, nylon elevator pushrod, complete hardware pack, photo instruction set and full size plans. Calculated electric power setups provided below. These systems available on request. Estimates based on manufacturers provided constants using E-Calc. High Quality 1300mah used as trial cell in calculations. Presumed model weight of 24oz. Actual performance may vary depending on components used, accuracy of data as provided by manufacturer, quality of battery, ESC, and many other factors. The Wonder is best described as a very fast, go-where-you-point-it, turn-it-quick-or-it'll-be-gone kind of plane designed for hot-thumbed R/C pilots. With an .09 or a .10 size engine, the Wonder is actually a very nimble, aerobatic, smooth flying sport plane, but with a snarling .15 or .19 up front it's a hand- launched hot rod! Landings are no sweat thanks to the thick symmetrical airfoil and the light wing loading. Special notes about electric from Dave: This model makes an excellent electric "muscle" model. Often overlooked since SIG does not offer an e-version or any electric power system setup info. It's easily adapted. Below are my suggestions for a range of practical to extreeme power systems. Estimates based on manufacturers provided constants using E-Calc. High Quality 2100mah used as trial cell in calculations. Presumed model weight of 26oz. Actual performance may vary depending on components used, accuracy of data as provided by manufacturer, quality of battery, ESC, and many other factors. If a fast roll rate, sizzling vertical climb, and dazzling good looks turn you on, take a close look at the King Kobra's the largest version of the Kougar, Kobra series. The foam core wing and unique fuselage construction get you in the air fast with a model that looks as good as it flies! 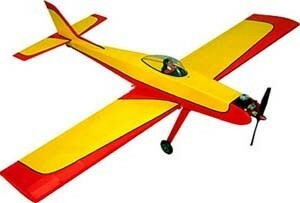 For general sport flying, the King Kobra flys great with a sport .60 R/C engine and the standard fixed landing gear. However, for those who want to soup this model up to the max, the building instructions include tips on tuned pipes and retracts. A fully symmetrical wing and airfoiled stabilizer make the King Kobra fly super smooth. It can make an average Sunday flier look like an expert! Estimates based on manufacturers provided constants using E-Calc. High Quality 2200mah used as trial cell in calculations. Presumed model weight of 54oz. Actual performance may vary depending on components used, accuracy of data as provided by manufacturer, quality of battery, ESC, and many other factors. Price includes Sig's $20.00 shipping surcharge. Celebrating Sig's Golden Anniversary, they are ecstatic to introduce the latest addition to their line of high quality Build It Yourself airplane kits: the 1/5 Scale J-3 Piper Cub.. They've put everything they've learned about model airplanes into this special kit: scale details, Sig laser cut parts, full size plans, a comprehensive instruction booklet. All the features you've come to expect from Sig. Then they added a little something special. 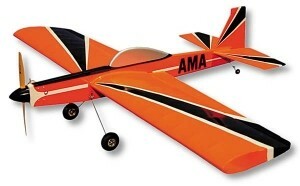 The new 1/5 Scale J-3 Piper Cub is so real, you may have a hard time separating it from the 1930's full size airplane. All of the details are included - a working side door and window, dummy engine cowls with "eyebrows", scale-like wire landing gear, a fully detailed instrument panel... even the realistic "bird's eye-view" window on top of the cabin. Add in a full decal sheet including Cub lightning bolts and you have a Cub standing far above the rest. 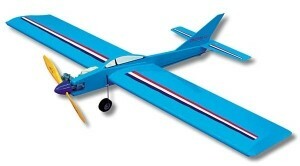 The Skyray 35 is an easy-to-build profile model suitable for a wide range of C/L flying fun. This excellent all purpose design is suitable for stunt, combat, sport racing, balloon bust, or general Sunday flying. When equipped with a .19 engine, it makes a good first C/L trainer. Bolt on a Fox .35 Stunt engine, and the Skyray 35 will fly the complete AMA stunt pattern. Install a high-performance combat engine, and you'll have a real "Hot Rod" on your hands. Died-in-the-wool C/L fliers will appreciate the Skyray 35's speedy assembly and super tough wing design - which features spruce spars and die-cut Lite-Ply wing ribs. This is one C/L profile stunter with a real difference! Notes from Dave: I've flown electric control line a number of times and it's a real blast! Any kit can be converted with a little effort. Suggested Fox 35 Emulator E-Motor Setup: Himax 3516-1130, Thunderbird 36 ESC, E-Flite Control Line Motor Timer, 3S 1500 Kypom Pack and 2 each 10-6 APC-E Props. Setup delivers 10,180 RPM (Fox 35 Stunt 10,200rpm), 58 mph pitch speed, 47 ounces thrust, 374 watts power @ 33.2 amps. Suggested .19 Glow Emulator E-Motor Setup: Same as above except with 9-5 prop, 11,040 RPM, 52mph pitch speed, 34 ounces statics thrust, 246 watts power @ 21.9 amps. Builder must refashion nose to mount e-motor and should be capable of doing this before placing order. We do not have special instruction sheet for this modification. Here's a profile model that flies like a full-bodied competition stunter. The Twister makes an ideal stunt trainer for up and coming fliers, or an excellent practice airplane for the competition flier. Notes from Dave: I've flown electric control line a number of times and it''s a real blast! Any kit can be converted with a little effort. Suggested .40 Glow Emulator E-Motor Setup: 3522-0990, Radical RC 40+ ESC, E-Flite Control Line Motor Timer, 4S 2200 Pack, 2 each 10 x 6 props, 11,980 RPM, 68mph pitch speed, 68 ounces statics thrust, 603 watts power @ 40.2 amps.